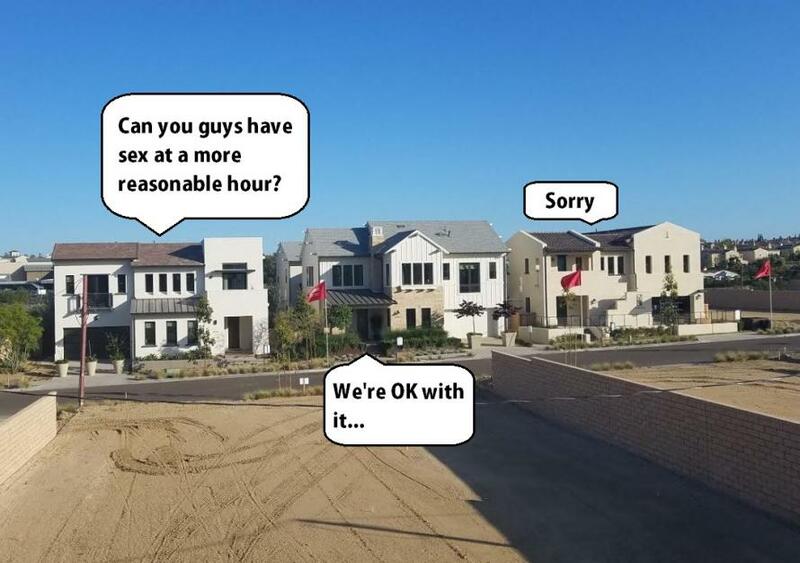 A new report using property searches and census data from realtor.com reveals which states Californians are moving to when they realize that a $1.4 million McMansion on 1/16th of an acre while staring into their fat neighbor's bedroom window just isn't all it's cracked up to be. Silicon Valley residents in particular are leaving in droves - more so than any other part of the state. Nearby San Mateo County which is home to Facebook came in Second, while Los Angeles County came in third. “They’re looking for affordability and not finding it in Santa Clara County,” said Danielle Hale, chief economist for realtor.com. A tight housing supply combined with nearly a decade of exploding home values have pushed housing prices and rents through the roof. Take, for example, this 848 square foot home on Plymouth Drive in Sunnyvale, CA (which in the 90's was the "poor" part of town vs. nearby Mountain View and Los Altos). After being listed in March for $1.45 million, it sold within 48 hours for $2 million, or $2,358 per square foot. With Sunnyvale's 1.25% property tax, the new owners are paying $2,083 per month, or $250,000 every 10 years. The housing crunch has inspired a flurry of state legislation designed to boost new home construction and eventually lower prices, "including a sweeping proposal to add millions of homes by public transit. It died in April, but its author, Sen. Scott Wiener, D-San Francisco, has vowed to try again next year," writes Kathy Murphy in the Mercury News. 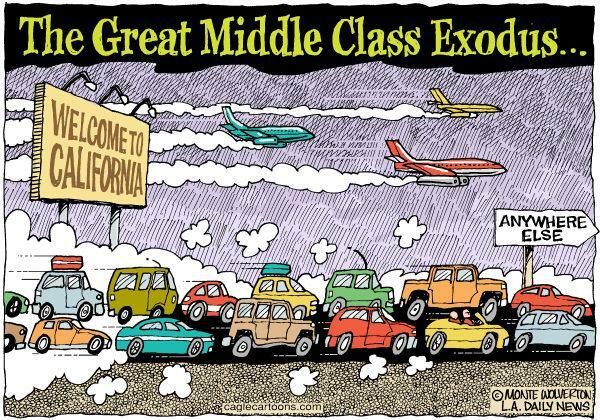 It's not just housing prices driving the exodus, of course. Punitive taxes - more than twice as much as some other states, are eating away at disposable income. Nearby Arizona's income tax rate is 4.54% vs. California's 9.3%, while the new tax bill may accelerate the exodus. "But now the new tax bill has made some major changes, and some experts believe that this will actually accelerate the exodus out of the state of California. The following comes from CNBC…"
In an op-ed in the Wall Street Journal headlined “So Long, California. Sayonara, New York,” Laffer and Moore (who have both advised President Donald Trump) say the new tax bill will cause a net 800,000 people to move out of California and New York over the next three years. The tax changes limit the deduction of state and local taxes to $10,000, so many high-earning taxpayers in high-tax states will actually face a tax increase under the new tax code. So where are people going? The top destination for Bay Area residents is either a cheaper part of the state such as Alameda, Sacramento, San Juaquin or Placer counties, where homes can be found for $500K - $894K less than Santa Clara. Silicon Valley residents heading out of state are setting up camp in Arizona, Nevada, Idaho and Texas. And as South Bay Silicon Valley residents in particular are flocking to nearby Alameda County - one of the top destinations for in-state moves, Alameda County residents are being pushed further east to lower-cost Contra Costa, San Juaquin, Sacramento and Placer counties. Out of state destinations: Arizona, Nevada, Idaho, and Hawaii. Out of state destinations: Nevada, Arizona, Oregon and Idaho. Out of state destinations: Arizona, Nevada and Idaho.